I purchased Factorio on Steam today, and unfortunately I can't even open the game. AMD 7970 Ghz Edition (AKA R9 280X), 3GB. Metal capable. When I open the game I briefly see a small game window, then I get a crash dialogue. I've tried multiple times, always with the same result. Log file is attached. The core error appears to be '[OpenGL] glClear in ogl_clear:0: GL_INVALID_FRAMEBUFFER_OPERATION' with 'SystemUtil::vramSize() (in factorio) (SystemUtil.mm:45)' seemingly being relevant, especially as I note that the log doesn't mention VRAM being detected. I searched the forum for this error and found this post, also on macOS. I see in his log that there should be a line giving the detected GPU VRAM size, at the point where mine instead crashes. His issue is different though, only affecting high-res sprites, where I can't even open the game. I don't normally mention that I'm running a 'Hackintosh', ie a non-standard macOS install on non-Apple hardware, for fear that developer will immediately ignore any problems and refuse to provide support, despite the fact that normally all software runs just fine. But in this case it seems right to mention it, as I can't rule out that it's somehow a factor in an unusual GPU-related issue. I don't believe it is the problem, because this is the first time I've experienced any problem running GPU-related/OpenGL software (other games work, as do Adobe apps, OpenGL benchmarkers like GeekBench 4 and Guru3d GPUTest, and plenty of other programs.) But I thought it only fair to be upfront and mention it. 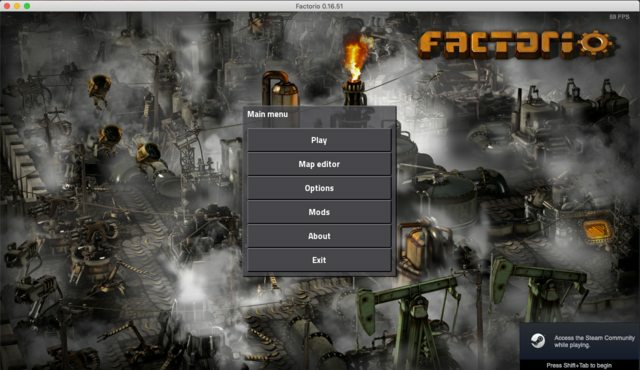 I have a second Hackintosh macOS system, and Factorio does load OK on that. Its specs are: macOS 10.14.1; Intel i5-3550; NVidia 760 2GB (using native macOS GPU drivers, not NVidia web drivers); two monitors. This system technically does have an integrated GPU, but it's not supported in macOS 10.14 so it's not being used. So again this is a system with only a discrete GPU, not an integrated one. Key differences seem to be different brand of GPU, different amount of VRAM, and number of connected monitors. For now I suppose I will have to either run it on my second system, or else dual-boot into Windows to play. Both would be quite an inconvenience, so I would be very grateful if someone could investigate, especially as macOS support was a big factor in my deciding to purchase now. Perhaps there's some workaround I can use? Like providing a config file which specifies the VRAM I have? I will start trying to investigate this myself. 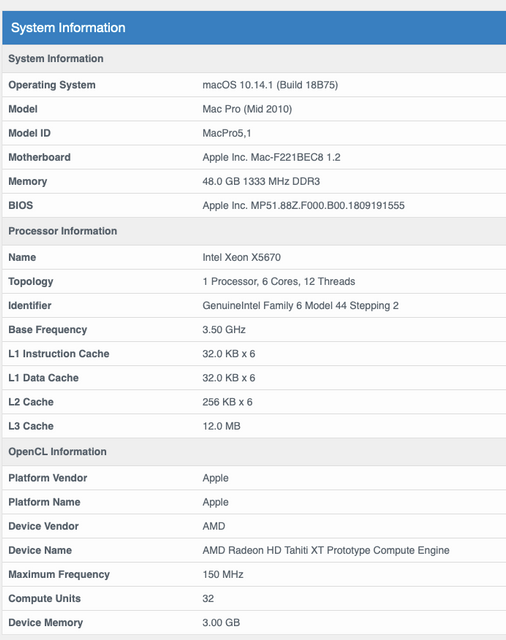 At the least if someone could confirm that a similar hardware config has been tested (MacPro 2010/2011 with an AMD 7970/R9 280X or similar discrete GPU with 3GB VRAM). If it does seem it could be Hackintosh related I will definitely investigate that angle, but right now my experience of other GPU/OpenGL apps suggests it's unlikely to be that. Thanks in advance. The game looks incredible - I can't wait to try it! 0.020 Create display on adapter 0. Size 1280x720 at position [1270, 702]. Re: [0.16.51] [MacOS] Crash on game open, OpenGL/GPU related - VRAM not detected on dedicated GPU? Hi, the GL_INVALID_FRAMEBUFFER_OPERATION error is not great, but it is not cause of the crash and shouldn't crash. It crashes in VRAM size detection code (which uses macOS API calls, not OpenGL) which should be unrelated to the OpenGL error. For now you can disable VRAM detection code by setting skip-vram-detection=true in config.ini. Since the game didn't launch sucessfully yet, your config.ini won't exist. Awesome! Thanks so much for the fast reply and the workaround. I've tested as far as starting the first Campaign and everything seems fine. Let me know if I can do any debugging in terms of why I get this error - happy to run a test build or provide further diagnostic info or whatever might help. Last edited by TheBloke on Mon Dec 03, 2018 5:27 pm, edited 1 time in total. 0.018 Create display on adapter 0. Size 1280x720 at position [1270, 702]. 66.038 Loading Level.dat: 197096 bytes. 145.705 Info BlueprintShelf.cpp:628: Saving blueprint storage.